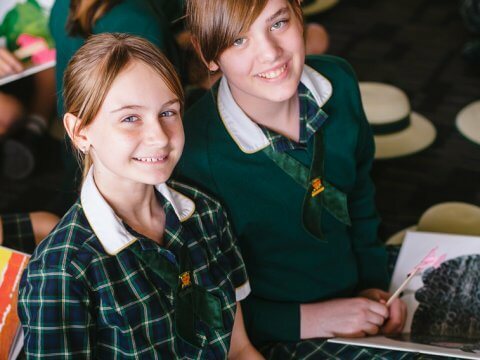 When it comes to Brisbane Catholic private girls’ schools, we offer outstanding opportunities and exceptional value. 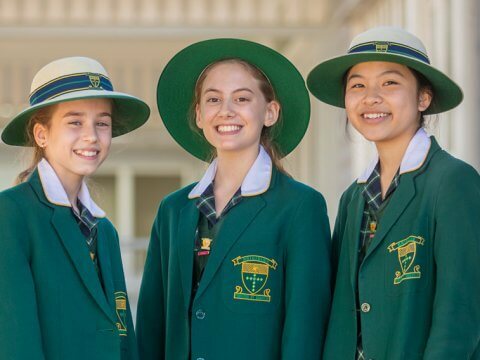 Young women at Brigidine College can take advantage of numerous academic opportunities, cocurricular activities and career pathways that foster their growing self-awareness, aspirations and talents. We aim to provide our girls with outstanding opportunities, so they ultimately know themselves and are able to become a woman who is confident and certain about her direction and purpose in life. 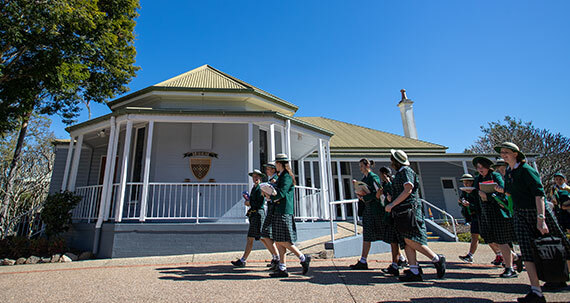 Take a look at what we are able to offer at our Brisbane Catholic private girls’ school. Starting in Year 7, students participate in core subjects and a choice of enrichment options (electives) so they can be exposed to multiple spheres of learning and discovery. Programs of Excellence will be available to students from Year 7. The range of study options progressively increases each year. For students in Years 11 and 12 aiming for university entrance, the College curriculum includes three core subjects and over 24 optional subjects including six technologies, six arts and three science subjects. 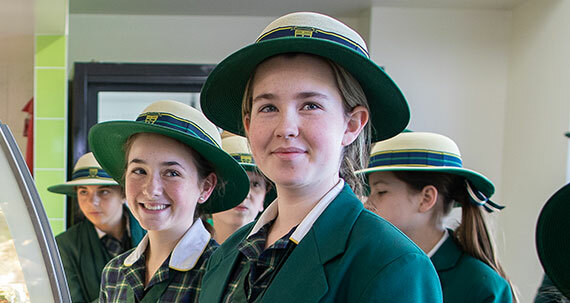 From Year 11, students may elect VET study options accessing a range of Certificate I to IV and Diploma programs from Brigidine and external RTOs. Brigidine College also supports school-based apprenticeship and traineeship programs (SAT) so students can study school-based subjects while completing structured on-the-job training, resulting in nationally recognised qualifications. 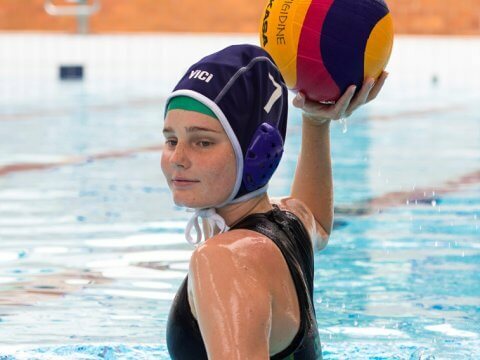 Our students have the opportunity to participate in AFL, basketball, cross country, equestrian, hockey, indoor cricket, netball, rowing, rugby 7s, soccer and futsal, swimming, tennis, touch football, track and field, volleyball, and water polo. Plus, we have an annual ski-trip to New Zealand. A long list of service and cultural options are available to our students. From Justice and Democracy Group, St Vincent de Paul Society, through to competitions in technologies, problem solving, debating, maths, science, art, dance, drama, history and more. School clubs cater for music, performance and dance groups, as well as science and technology related activities. Real world appreciation is provided with cultural awareness programs, domestically and abroad, to enhance student experiences. Exchanges are offered with sister schools in Nouméa and Tokyo – highly desirable destinations given all girls learn French or Japanese in Years 7 and 8 with the option to study both languages through to Year 12. Closer to home, students can meet regularly with Swahili girls from Milpera School and participate in an annual trip to Arnhem Land. Business opportunities abound through work experience programs that start in Year 10 with over 60 prominent organisations across Brisbane, such as media and theatre companies, health businesses, veterinary practices, retail outlets, law, architectural and engineering firms. They continue with additional work exposure through invitational weekends and internships with companies like Technology One (a national IT, ASX Top 200 company) and the Wesley Hospital. Starting in Year 10, students may participate in various extension programs run by Queensland’s most outstanding tertiary institutions – UQ, QUT, Griffith, USQ and ACU. 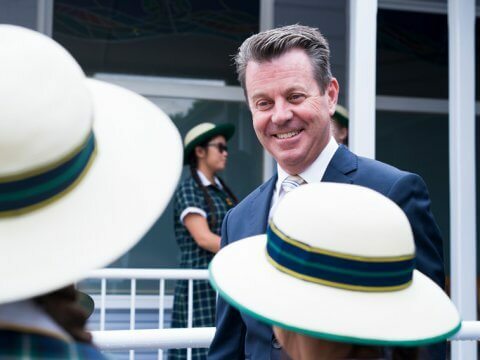 These include head start, acceleration, young scholar and extension studies, allowing students in Year 10 to Year 12 to do first year university subjects on top of their Brigidine timetable. Students interested in robotics have the opportunity to participate in STEM and Science workshops like Robogals Asia Pacific. 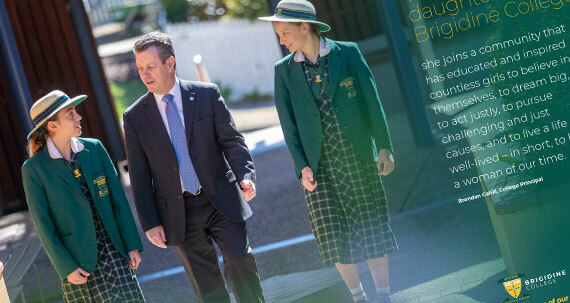 At Brigidine, conferences are not just for adults. 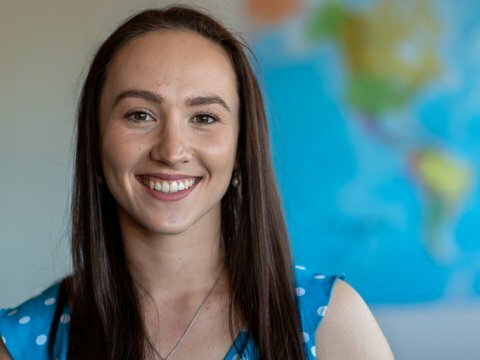 For example, our young women can attend the Youth Language Ambassador Conference and present a 10-minute Ted-type talk on building an internationally minded Australia, a Justice and Democracy conference in Melbourne or leadership conferences in Sydney. On top of this, we have multiple field trips for Biology, Geography, The Arts, self-development and more. 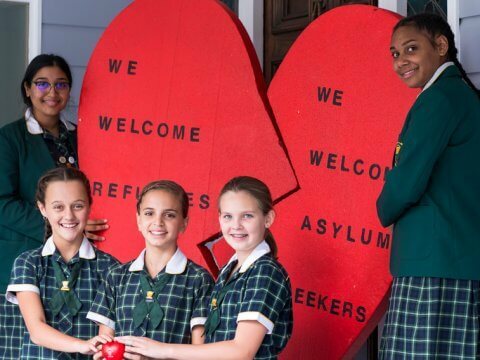 Chances are, if it is happening in the real world, our students can be a part of it at Brigidine. This is how we shape women of our time, and why people know that they can depend on a Brigidine girl. Discover more on our unique programs that shape young women into unstoppable women of our time. Faith. Leadership Development. Well Being. Find out how we are delivering a 21st Century education to our young women. This includes five 21st Century Key Skills and four Pillars to create life-long learners.